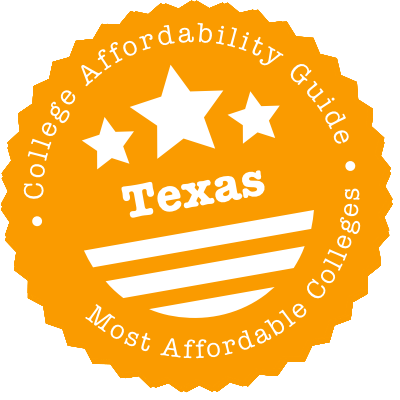 Scroll down to see our top-ranked colleges in Texas, loans and scholarships for Texas students, and advice on how to save money going to college in Texas. As a flagship university (and also the oldest, having been established in 1876), Texas A&M University College Station offers its more than 50,000 students access to world-class research programs and the chance to pursue a degree in more than 120 undergraduate and 240 graduate programs. The university has scholarship programs for entering freshmen who have successfully completed a college preparatory program and who meet other scholarship criteria (first-generation college student, excellent academic performance under difficult personal or economic circumstances, etc.). These programs include the following: Academic Achievement Scholarship ($3,000/year), President's Achievement Scholarship ($2,500/year), Century Scholars Program ($5,000/year) and the Challenge Scholarship ($1,000/year). Each recipient also receives an additional $1,000 Study Abroad Scholarship. Midwestern State University in Wichita Falls, Texas, offers about 50 undergraduate majors and 27 graduate degrees. Three-quarters of student receive some financial aid, with the school disbursing more than $56 million in aid annually. Beginning freshmen and undergraduate transfer students from Texas may be eligible for the Mustangs Guarantee, which pays tuition and fees not covered by other grants or scholarships for families with incomes under $50,000. MWSU also has unusually low out-of-state fees for non-Texans, making it a more affordable choice. Most departments have endowed scholarships for students with specific majors. In the 2018 U.S. News rankings of Regional Universities West, MWSU tied for No. 35 in Top Public Schools and No. 91 in Best Regional Universities. Established in 1901 as the Girls Industrial College, Texas Woman's University is now the country's largest university primarily for women, with a total student population of 15,000. Incoming freshmen with excellent academic records are eligible for the New Freshman Student Scholarship ($1,200 - $3,000/year) or the TWU Honors Scholarship ($5,500/year). Freshmen who graduated as valedictorian or salutatorian from their high school are eligible for the TWU Presidential Scholarship, which covers full tuition and fees. Qualified freshmen may also be considered for the Chancellor's Endowed Scholarship, which covers tuition and fees, and includes a stipend for books. Transfer students coming from the Rising Star program in the Dallas County Community College District may be eligible for the TWU Dream Come True Scholarship ($2,000/year). The University of North Texas is a public, research university that offers 99 bachelor's, 83 master's and 36 doctoral programs. UNT provides financial aid to 83% of full-time beginning undergraduates and institutional gift aid to 54% of these students. Incoming freshmen are eligible for scholarships, such as the UNT Excellence Scholarship ($3,000 to $8,000 per year), the full-tuition UNT Meritorious Scholarship for National Merit Finalists and university and donor-funded academic scholarships. Transfer students and graduate students are also eligible for university and donor-funded academic scholarships. Additionally, transfer students are eligible for the UNT Transfer Scholarship ($1,000 to $3,000 per year). Institutional grants include the full-tuition Emerald Eagle Scholars Grant and the University of North Texas Grant, which is available to undergraduate and graduate students. Located in the heart of North Texas, the University of Texas Dallas has 133 degree programs and offers its students plenty of opportunities for research and hands-on learning. The National Merit Scholars Program awards academically outstanding freshmen full tuition coverage and a $4,000 per semester cash stipend for additional educational expenses. Also included is a one-time $2,000 award for participation in a Study Abroad program. The Eugene McDermott Scholars Program supports freshmen with stellar academic performance and covers the full cost of attending the university, including opportunities for internships, travel and cultural enrichment. Incoming freshmen and transfer students with financial need who can also add to the diversity of the university's student population may be eligible for the Diversity Scholarship Program ($5,000 per year). On its 431-acre main campus, the students of the University of Texas Austin have 17 libraries to study and perform research in, 7 museums to explore, and 16 career centers for sage advice and academic guidance. Freshmen with strong academic records and demonstrable financial need are considered for the Presidential Achievement Scholarship ($5,000 to $10,000 per year). Some recipients may qualify for an additional $1,500 supplemental stipend for a research project or a Study Abroad opportunity. The University Leader Network Scholarship ($5,000 per year) supports students with strong leadership potential and excellent academic history. Junior and senior-year students pursuing STEM degrees can be nominated by their department for the Astronaut Scholarship Foundation ($10,000) or the Goldwater Scholarship ($7,500 per year). Stephen F. Austin State University, located in east Texas, is the alma mater of two Grammy Award-winning musicians: Don Henley (who helped start the Eagles before going solo) and country singer Rodney Crowell. On average, students at Stephen Austin State receive more than $12,600 in financial aid each year. Scholarships based on academic merit include the University Regents Scholarships ($3,000 a year) and Academic Excellence Scholarships ($3,000). Students whose FAFSA indicates a high level of need may be eligible for federal Pell Grants, as well as the TEXAS Grant and the Top 10 Percent Scholarship. Under the SFA Purple Promise Guarantee, the college pays the balance on tuition and fees that aren't covered by other programs for qualifying students. With students coming from every state and more than 100 countries, the University of Texas Arlington has one of the most diverse student populations in the region. Qualified incoming freshmen are automatically considered for the following merit-based academic scholarships: President's Charter ($8,000 annually), Outstanding Freshman ($6,000 annually), Freshman Honors ($4,000 annually), Freshman Recognition Scholarship ($2,000 annually) and the Top 10% Award ($2,000 annually). National Merit finalists who indicate UT Arlington as their university of choice are considered for the National Merit Scholarship, which covers full tuition, fees and residence hall costs (up to $20,000 annually). Transfer students may be eligible for the Outstanding Transfer Scholarship ($3,000 annually) or the Transfer Honors ($1,350 annually). A little more than a century after its founding as West Texas State Normal College in 1910 with 152 students, the West Texas A&M University now has almost 9,000 students and offers 58 undergraduate, 39 master's and 1 doctorate degree programs. The Jan Alcorn Scholarship Fund ($5,000) is a need-based program for beginning full-time students. Freshmen who are the first in their family to go to college are considered and given priority by the James H. and Minnie M. Edmonds Educational Fund. Junior or senior students (two from the College of Business, two from the Department of Agriculture, one from the Department of Education and four university-wide) may be eligible for the First United Bank Scholarships ($4,000/year). The largest university in the San Antonio metropolitan region, the University of Texas San Antonio has 29,000 students (Fall 2013) and 158 degree programs. Qualified freshmen are automatically considered for the Distinguished Presidential Scholarship ($2,000 to $6,000 per year). Transfer students with excellent academic records are eligible for the Distinguished Transfer Scholarship ($3,000 per year). Students who are children of first-generation immigrants to the United States with demonstrable financial need may be eligible for the Ann Biggs/Thelma Salazar Scholarship for First-generation Immigrant Children. The Sembradores of San Antonio Educational Foundation supports full-time students who are the first in their family to attend college and can show financial need. Founded in 1899, Tarleton State University became part of the Texas A&M University System in 1917. Of all full-time beginning undergraduates at Tarleton State, 85% receive some form of financial aid. The University offers institutional grants or scholarships to 35% of full-time beginning undergraduates, including over 450 endowed, local and departmental scholarships. The University also offers the Presidential Honors Program, which provides annual scholarships of $6,000, among other benefits. TSU students are eligible for government grant programs like the Federal Pell Grant (up to $5,730 per year), the Federal Supplemental Education Opportunity Grant (up to $200 per year), the TEXAS Grant (full tuition and fees) and the Texas Public Assistance Grant. In the fall of 2014, the University of Texas of the Permian Basin welcomed 4,661 undergraduates and 899 graduate students from 183 Texas counties, 31 states, and 31 countries. Incoming freshmen may be eligible for the Presidential and Presidential Plus Scholarship, which awards $28,000 to $40,900 over a period of four-years. Students need to be nominated for this scholarship. Academically qualified freshmen are automatically considered for the following scholarships: Achievement Scholarship ($20,000 to $24,000), Freshman Merit Scholarship ($12,000 to $20,000), and the Freshman Grant Scholarship ($8,000). These amounts are also distributed over a period of four-years. Transfer students are considered for the Transfer Excellence Scholarship Award ($3,000 per year) and the Transfer Spur Scholarship Award ($1,000 per year). Students at the University of Houston can choose from 120 majors and minors, 139 master's, 54 doctoral and 3 professional degree programs. Entering freshmen with excellent academic records are eligible for the Tier One Scholarship program. This scholarship covers tuition and fees for four-years of study at UH, plus two years of on-campus housing and meal plan, and stipends to support a semester of studying abroad as well as an undergraduate research project. National Merit Scholarship finalists who put down UH as their first-choice university will automatically receive a scholarship that covers tuition, mandatory fees, and room and board. The scholarship also awards an additional $1,000 stipend to fund undergraduate research and a $2,000 study abroad stipend. Founded in 1903 and given the mandate of training new teachers for the state, Texas State University San Marcos is now a major university offering 97 bachelor's, 88 master's and 12 doctoral degrees. Entering freshmen who meet the academic and residency criteria are guaranteed to be awarded the President's Honor Scholarship ($8,000 annually) or the Texas State Achievement Scholarship ($4,000 annually). Academically gifted freshmen with demonstrable financial need and strong leadership record can apply for the Terry Foundation Scholarship (up to $14,000 annually, depending on the recipient's need). Business majors and National Merit commended scholar, semi-finalist or finalist may be eligible for the McCoy Scholarship of Excellence ($8,000 annually) or the McCoy Scholarship of Distinction ($5,000 annually). Originally known as Texas Technological College when it opened in 1925 with 914 students, Texas Tech University now has a student population of 35,158 (Fall 2014) and offers 150 undergraduate, 100 master's and 50 doctoral degrees. Entering full-time freshmen with superior academic ability are automatically considered for a number of Presidential Scholarships. Award amounts range from $3,000 to $6,000 per year and are based on a student's test scores and class ranking. In-state transfer students may be eligible for the following scholarships: Proven Achievers Scholarship ($6,500 per year), President's Transfer Scholarship ($4,500 per year) and the IMPACT President's Transfer Scholarship ($2,500 per year). The road to a cheaper college experience in Texas starts here! All the big state players and a heap of smaller schools offer strong financial aid packages to low-income students. On top of that, there are a large number of state financial aid programs for Texas residents and non-residents. These include grants for public universities (e.g. TPEG), two-year colleges (TEOG) and private, non-profit schools (e.g. TEG). And have we mentioned all the loan repayment programs for public service in Texas? With careful planning and a bit of research, a college education in Texas can be affordable. Texas offers a general education core curriculum as well as statewide common course numbering. Texas does not offer statewide guaranteed transfer of associate’s degrees, but with the core curriculum transfer, most students do not need this guarantee. Texas college students can complete the Texas General Education Core. This core ranges from 42 to 48 credit hours depending on the college or university. Curriculum in the core is divided into common categories, and courses that apply to a category at one institution will be accepted as fulfilling the requirement for that category at another institution in Texas. Want to see how your core courses will transfer between institutions? Visit the Texas General Education Core Web Center to compare. You can also learn more about transfer policies in Texas, including transferable degrees and voluntary transfer compacts, on the Texas Higher Education Coordinating Board website. The state of Texas is doing its best to make college more affordable. Although the Texas Higher Education Coordinating Board (THECB) is the agency responsible for handling state financial aid in Texas, you’ll find it easier to go straight to THECB’s student-focused College for All Texans. This site is chock-full of useful tips, planning tools, links to state grants & scholarships and guidance on Texas education initiatives (e.g. Tuning Texas Transfer Plans, TSIA, the average cost for Texas schools, etc.). If you’re living in Texas and planning to pay the in-state tuition rate, be sure to check out the section on FAFSA vs. TAFSA. This explains which financial aid application you need to complete—you only have to fill out one, not both. Broadly speaking, the TAFSA is intended for non-citizens who are classified as state residents. Most Texas students complete the FAFSA. To learn more about student loans, visit THECB’s sister site, Student Loan Programs. Here you can view your personal account, access important forms, learn about loan repayment programs, apply for affordable loans online and calculate your interest. The other website to bookmark is the College for All Texans formely knowns as, Texas Financial Aid Information Center (TFAIC). You can call them toll-free number—1-888-311-8881 (Monday-Friday; 8:00 a.m.-5:00 p.m.)—for English or Spanish advice on any questions related to financial aid. The call center provides free help with the Texas college admission process, applications for federal or state aid, education-related tax benefits and referrals to other services. Summary: TEOG aid is intended for financially needy students who are enrolled in public two-year colleges (i.e. community colleges, technical colleges or state colleges) in Texas. Eligibility: There is a very long list of eligibility requirements. For one, students must be Texas residents. For another, they must have a 9 month EFC of no more than $5,088. See the website for more info. How to Apply: Your school’s Financial Aid Office will determine if you’re eligible for the program by using your FAFSA. Visit the website above for more details. Summary: TPEGs provide extra educational funds for students with financial need. Only public colleges and universities in Texas participate in this program. Schools are responsible for administering the funds and deciding maximum award amounts. Eligibility: TPEGs are available for Texas residents, non-residents or foreign students who demonstrate financial need. How to Apply: Your school’s Financial Aid Office will determine if you’re eligible for a grant by using your FAFSA. Summary: TEXAS grants are intended to help high-achieving and low-income high school graduates afford college. Maximum award amounts vary depending on the school, but usually range from ~$1,400-$8,500. Eligibility: You must be a Texas resident and meet a variety of eligibility requirements. How to Apply: Your school’s Financial Aid Office will determine if you’re eligible for the program by using your FAFSA or TAFSA. Visit the website above for more details. Summary: Unlike many grants for public schools, TEGs are targeted at financially needy students aiming to attend a private, non-profit college or university in Texas. Maximum award amounts are typically around $3,364, but exceptions are made for undergraduate students with exceptional need. Eligibility: The list of eligibility requirements is lengthy, but—above all—you must be a Texas resident or a non-resident National Merit Finalist receiving at least $1,000 in competitive scholarships. How to Apply: Your school’s Financial Aid Office will determine if you’re eligible for a grant by using information from your FAFSA. Summary: To increase the number of professional accountants in Texas, the state offers a scholarship of up to $5,000 for accounting students who plan to take the CPA examination. The award can be used at public and private non-profit schools in Texas, including specified community colleges. Eligibility: You must be a Texas resident and meet the requirements listed on the Texas State Board of Public Accountancy website. How to Apply: You can ask for a scholarship application from your Dean, the Department of Accounting or your school’s Financial Aid Office. Summary: The GNSP is aimed at students who were born in—and are current residents of—a country of the Western hemisphere other than Cuba or the U.S. The scholarship provides one year of free tuition to a participating Texas public college or university. Eligibility: In addition to being a non-U.S. resident (as noted above), you must intend to return to your eligible country upon completion of the program of study and meet your school’s GPA requirement. How to Apply: Contact your school’s Financial Aid Office and/or the International Student Affairs Office for an application form. Summary: Proceeds from the sales of license plates with the insignia of Texas colleges and universities go towards various school scholarships for students in need. Eligibility: To be eligible, students must be Texas residents with demonstrable financial need who are enrolled at least half-time in a public or private non-profit college/university within the state. How to Apply: Your FAFSA will determine if you can receive a scholarship. For answers to any questions, you can also contact your school’s Financial Aid Office. Summary: This scholarship is intended for financially needy students who wish to attend a Texas public institution of higher education (two-year or four-year) and who graduate in the top 10% of their high school class. Eligibility: To be eligible for a renewal of the award, you’ll have to maintain a cumulative 3.25 GPA. How to Apply: Your school’s Financial Aid Office will determine if you’re eligible for a scholarship by using information from your FAFSA or TAFSA. Summary: The Border program awards up to $5,000 per year for loan repayments to doctoral graduates who are employed as full-time faculty members at an eligible institution (see the website for a list) in a Texas county that borders Mexico. The maximum number of years you can be eligible to receive a loan repayment is ten years. Eligibility: You must earn your doctorate from a recognized Texas institution of higher education or an accredited out-of-state school and you must have instructional duties in your faculty job. How to Apply: Each year, applications are provided to eligible institutions. These schools determine which eligible faculty members may apply for loan repayment. Priority is given to renewal applicants. Summary: This program was developed to get more qualified dentists into Dental Health Professional Shortage Areas (DHPSAs) around Texas. The maximum award amount in 2016-2017 was $10,000. Eligibility: To be eligible for a loan repayment award, you must be licensed by the Texas State Board of Dental Examiners and agree to provide a year of consecutive service in a DHPSA (e.g. at a FQHC, non-profit practice, state hospital, etc.). How to Apply: Information about application forms and deadlines can be found on the website above. Eligibility: Applicants must be currently employed full-time as an eligible prosecutor or public defender, have eligible student loan debt and sign a service agreement to stay in their job for at least three years. How to Apply: Interested candidates can call program staff at (512) 427-6477 or (512) 427-6357. Summary: Like the Dental Education program, this initiative is intended to encourage qualified mental health graduates to work in Mental Health Professional Shortage Areas (MHPSAs). Maximum award amounts vary, so check the website for detailed information. Eligibility: Eligible professionals include psychiatrists, psychologists, APRNS in psychiatric or mental health nursing, licensed professional counselors and licensed clinical social workers. To qualify, you must agree to provide five consecutive years of service in an eligible area and serve persons enrolled in Medicaid or CHIP or both (unless you’re working in a secure correctional facility). Summary: This program was created to address the shortage of licensed speech-language pathologists in Texas public schools. When funding is available (it wasn’t in 2015-2017), you can apply. Eligibility: To be considered, you must be a graduate of a communicative disorders program and employed as a speech-language pathologist or audiologist by a Texas public school district or working as a doctoral faculty member of a communicative disorders program at an institution of higher education. Maximum award amounts are $6,000 per year for employees of school districts (up to five years) and $9,000 per year for faculty (up to five years). Summary: If you’re a qualified nurse who agrees to serve as nursing faculty at an eligible institution of higher education, you may be able to apply for an award of up to $7,000 per year for loan repayments. Funds are reallocated from the Physician Education Loan Repayment Program (PELRP) for this program, so check the website to see what money is currently available. Eligibility: To receive an award, you must hold a master’s or doctoral degree in nursing, be licensed by the Texas Board of Nursing for the State of Texas and been employed full-time as a faculty member for at least one year. Summary: PELRP provides loan repayment funds (up to $160,000 over a period of four years) to qualifying physicians. Regardless of your role, you must provide health care services to recipients enrolled in Medicaid and the Texas Children’s Health Insurance Program (CHIP). Eligibility: The program gives first dibs to primary care physicians who agree to practice in a Health Professional Shortage Area (HPSA) for at least four years. However, up to ten physicians per year can qualify by offering to serve patients in a Texas Juvenile Justice Department or Texas Department of Criminal Justice facility. An alternate route is available for physicians treating Texas Woman’s Health Program enrollees. Summary: This generous loan repayment program is targeted at primary care and behavioral health providers who agree to serve for four years at eligible sites located in the five-county area served by St. David’s Foundation (Bastrop, Caldwell, Hays, Travis or Williamson County). The maximum annual award amount for physicians and dentists is $30,000; for physician assistants and nurse practitioners, it’s $15,000. Eligibility: Qualifying areas of service include a wide range of physician specialties (e.g. OB/GYN, geriatrics, family practice, etc.) and dentists, physician assistants and nurse practitioners. Summary: TFTLRAP awards aren’t large, but every little bit helps when it comes to repaying loans. Created to address the shortage of certified classroom teachers in areas around Texas, this program rewards applicants who teach on campuses with the most acute shortages of teachers. The maximum award amount in 2016 was $2,500. Eligibility: Priority is given to teachers skilled in shortage subjects (e.g. math, science, etc.) employed in schools with 75% or more economically disadvantaged students. Summary: BOTs are zero-interest loans provided by THECB. Beginning with the 2015-2016 academic year, only renewal awards are available. Eligibility: Your institution’s Financial Aid Office will determine your renewal eligibility. In general, you must be a Texas resident (or entitled to pay resident tuition rates as a dependent child of a member of the U.S. armed forces), be enrolled full-time in an undergraduate degree program at an eligible institution and achieve a cumulative GPA of 2.5 or more. Loan forgiveness is occasionally granted. Summary: Administered by the THECB, these student loans offer a fixed annual interest rate of 4.5%. If you have a principal loan balance under $30,000, you have up to ten years to repay; if your balance is $30,000 or more, you have up to twenty years to repay. Eligibility: To be eligible, you must be a Texas resident, be enrolled at least half-time in an approved program, meet certain academic requirements and receive a favorable credit evaluation (or provide a cosigner who has good credit standing and meets other requirements). How to Apply: You can apply online via the website above. Summary: For qualified veterans, spouses and their dependent children, the state of Texas offers an excellent education benefit—up to 150 hours of tuition exemption, including most fee charges, at public institutions of higher education in Texas. However, this benefit does not cover living expenses, books or supply fees. Eligibility: Please see the website for a list of eligible participants. How to Apply: The Texas Veterans Commission (TVC) has a whole website devoted to the Hazlewood Act, including the option to download an application and important documents. You may also want to check out their list of Hazlewood FAQs. Summary: This tuition award is intended for Texas-based children of persons listed as MIA or POW by the U.S. Department of Defense. Awards can be used for tuition, service fees, lab fees, building use fees and all other fees except room, board or clothing. However, you can only use this benefit at a Texas public college or university. Eligibility: In addition to being an eligible dependent (see above), you must be either under 21 or under 25 & receiving most of your support from a parent and you must achieve a certain GPA to qualify for continuation awards. How to Apply: Contact your school’s Financial Aid Office for more information. Summary: The TASSP program is designed to attract more students to serve in the Texas Army National Guard, the Texas Air National Guard, the Texas State Guard, the United States Coast Guard, the United States Merchant Marine or as commissioned officers in any branch of the armed services of the United States. Eligibility: To receive a scholarship for four of the six years allowed for graduation, you must commit to a four-year term of military service. How to Apply: You must be selected by a Texas State Senator or Texas State Representative or the Lieutenant Governor or Governor in order to be considered by the program. Contact your legislator for more information. Summary: STRP provides state tuition assistance for active drilling members of the Texas Army National Guard (TXARNG), Texas Air National Guard (TXANG) and Texas State Guard (TXSG). This benefit can be used at any eligible Texas college or university. Although the maximum award amount per semester is $2,250, you can apply for exemption with a maximum payout of $4,500 per semester. Eligibility: You must be an active drilling member of the Texas Army National Guard (TXARNG), Texas Air National Guard (TXANG) or Texas State Guard (TXSG). How to Apply: See the website above for application materials and deadlines. Visit the Military & Veterans section on the College for All Texans website for detailed advice on tuition, waivers and exemptions. Contact the Education Services Office of the Texas Military Department or the Texas Veterans Commission for more info. Summary: Are you a resident of Arkansas, Louisiana, New Mexico or Oklahoma? Certain public institutions in Texas (e.g. Arkansas-Texarkana College) are willing to waive your out-of-state tuition costs—that means you only pay the cheaper in-state tuition. Eligibility: It’s a great deal, but you will be required to maintain a certain GPA to receive continuation awards. Your chosen school must also have an agreement with a similar institution in your home state. How to Apply: Visit the website above for a list of participating schools and info about applying. In many cases, the Office of the Registrar will process your tuition waiver, but sometimes they are processed by the Admissions Office and/or Office of Financial Aid. Summary: The state of Texas provides up to $5,000 annually to help current and former foster youth (ages 16-23) begin, continue or complete postsecondary education and training programs. This money can be used for all kinds of costs (e.g. tuition, room and board, child care, etc.) at any public or private educational institution (in Texas or out-of-state) that is accredited or pre-accredited. Eligibility: Visit the website above for a complete list of eligibility requirements. In addition to being a Texas foster youth, you must enroll in a minimum of 6 semester hours. How to Apply: Visit Texas ETV or call 1-877-268-4063 to talk to an ETV Coordinator. Summary: This fellowship helps students who are enrolled in graduate programs in public affairs, public service or public administration pay for tuition and fees. Only in-state, non-profit public and private colleges/universities participate in the program. Award amounts vary. Eligibility: Students must be Texas residents with financial need who intend to work in Texas after completing their graduate studies. How to Apply: Talk to your Dean for more information on applying. Summary: TCWSP arranges part-time jobs for low-income Texas residents so they can afford to go to a public or private non-profit college/university in Texas. Eligibility: TCWSP students must be Texas residents with demonstrable financial need who are enrolled at least half-time in an eligible school. How to Apply: Your FAFSA will determine if you’re eligible for the program. For answers to any questions, you can also contact your school’s Financial Aid Office. Summary: Are you the child of a man or woman in military service? Blind or deaf? A kid in foster care? If you’re a Texas resident, you may be eligible to attend a public college or university in Texas without paying tuition or—in some cases—tuition and fees. Eligibility: Check out the huge list on the website above for a list of exemption programs available to Texas residents. Parts of Texas are far from cheap. If you and your family are struggling to afford basic needs like food, housing and health care, government help is available. The Texas Health and Human Services Commission has a special website called Your Texas Benefits. This has links to affordable programs like SNAP (food stamps), TANF cash help, the Children’s Health Insurance Program (CHIP) and more. To find low-income resources in your specific neighborhood, check out 211 Texas. This allows you to enter your zip code and search a local directory for all kinds of social services—legal aid, child care, crisis hotlines, employment assistance and much more. To talk to a real person about benefits, call toll-free 2-1-1 or 1-877-541-7905. Staff are available Monday to Friday (8 a.m. to 6 p.m.). But wait, there’s more! Women looking for affordable health care can visit HealthyTexasWomen.org, a one-stop hub to help low-income women find and apply for state benefits and services such as Medicaid. You’ll also find a list of county-specific social service organizations in our city sections below. Many Texas schools also have significant endowments, which makes for stylish dorms. For instance, the University of Texas-El Paso (UTEP) offers snazzy on-campus apartments with kitchens and an all-in-one bill (rent, utilities, Internet, etc.). Already have kids? Talk to your housing coordinator about affordable options. TWU has set aside units for Family Housing and University of Texas (UT)-Arlington leases a limited number of campus houses with fenced-in backyards to students with dependent children. However, while you’re looking through glossy university housing websites, it pays to remember that numbers are VERY BIG in Texas. For example, to house some of its 30,000 undergraduates, the University of North Texas (UNT) has the largest residential campus in the North Texas region, with 14 residence halls. Despite this, many UNT students still live off-campus. Federal money like the Pell Grant and certain state funds will cover on-campus housing costs, but most grants are pretty meager. If you’re worried about the future, talk to your school’s residential life coordinator or the Financial Aid Office. You may be eligible for private scholarships or university jobs that will help pay the bills. You should also compare your on-campus costs (meal plans, dorm fees, etc.) with off-campus expenses (groceries, utilities, etc.) to see which option is cheaper—calculators can be found at MappingYourFuture.org and CalcXML.com. Sometimes you’ll have no choice but to live away from school. The University of Houston-Downtown (UHD) has zero dorm/apartment facilities and all students have to arrange their own housing. Almost all of UT-Arlington students reside off-campus. Even if you’re looking for affordable off-campus apartments, you can still start with your school’s housing website. For instance, UT-Dallas has set up a massive Dallas Off-Campus Housing website, with quick search options, a roommate finder, message boards and useful resources. Similarly, TWU hosts an biannual Apartment Fair and has created an Off-Campus Housing section for students looking for housing and apartments in Denton. Planning to live in the UT-Austin, UNT or TAMU-College Station area? Check out the options available from the Texas State Housing Authority (TSHA). This organization offers off-campus housing scholarships to graduates of Texas high schools and community colleges. Searching for housing around a specific campus? Along with Google and Craigslist searches for cheap apartments, have a look at websites that allow you to target your school. Examples include Abodo.com, CampusRent.com and ApartmentGuide.com. Out of options? Visit the Texas Homeless Shelter Directory. This resource includes emergency shelters and transitional housing opportunities. Electricity is notoriously expensive in Texas. If utilities (e.g. water, power, Internet, etc.) aren’t included in your rent payment, they can add up to a sizeable chunk of your budget. Don’t sign any rental agreement until you’ve asked your potential landlord what kinds of utilities you’ll be required to pay for. You can also request a monthly estimate of the bill. For further advice, get Assistance Paying Your Bill from the Public Utility Commission of Texas. This webpage has information on low-income utility programs like LITE-UP Texas and Link-Up. Another initiative to know about is the Comprehensive Energy Assistance Program (CEAP), which is designed to assist low-income households meet their immediate energy needs. Most big Texas schools have their own university medical centers to take care of students. At TAMU’s A.P Beutel Health Center or UT-Arlington’s Health Services, for example, you can pick up prescriptions, seek low-cost treatment, get free advice from Dial-A-Nurse and more. There are also lots of community clinics and health centers in Texas that offer free or affordable medical care. These TX organizations are listed on NeedyMeds.org and FreeClinicDirectory.org. For issues surrounding mental health, visit Mental Health Texas. They have a quick treatment services locator and links to further resources. The suicide crisis number is 1-800-273-8255 (for TTY: 1-800-799-4889). Campus dental services can be more scattershot. If you’re lucky enough to go to (or live near) a Texas university with a dental school, you’ll often find low-cost care administered by dental students. For example, fees at UT-Houston’s supervised Student Clinics average 1/3 of the cost of private practice. Alternatively, you can browse through Texas dental resources on ToothWisdom.org and search for free clinics listed on FreeDentalCare.us. Large Texas schools usually have well-oiled systems in place to help students with families, including on-campus child care centers. UTEP’s University Heights Early Learning Center, TAMU’s Becky Gates Children’s Center and TWU’s after-school Clubhouse program are just a few examples. You can also use the Texas Department of Family and Protective Services website to locate licensed child care centers in your neighborhood. Texas is a land of wide open spaces and long roads, so most public universities have developed affordable campus transportation networks. For instance, TAMU has a huge Transportation website, with details about its on-campus and off-campus buses, Park N Ride, bike leasing, car shares and a lot more. On UT-Dallas’s Parking & Transportation website, you can research the Comet Cruiser (bus shuttle), Comet Cab, Zipcars, bikes and student savings on DART passes. Other public transport companies offering student discount fares include METRO buses in the Houston area and VIA buses in San Antonio. Texas colleges and universities have finally realized that food is the first thing to be cut from a student’s budget. In response, they’re starting to open free food pantries for students in need. You’ll find these at lots of Texas community colleges and affordable schools on our list (e.g. UNT, UTEP, TWU, etc.). Please don’t go hungry if your school doesn’t have a food pantry—local organizations in the surrounding area will be happy to provide support. Check out FoodPantries.org for an up-to-date directory of Texas Food Pantries and HomelessShelterDirectory.org for listings of TX soup kitchens, pantries and food banks. Expectant moms and current moms may also wish to see whether they qualify for the Texas WIC Program. Future UH students won’t be surprised to hear that living in Houston is cheaper than living in Austin. According to cost of living data from Sperling’s Best Places, utilities, groceries and transportation costs are below the norm. Unfortunately, housing can be pricier. It’s worthwhile comparing expenses for home vs. off-campus vs. on-campus living. For additional day-to-day info on living in the city, check out the City of Houston website. Memorial Assistance Ministries (MAM) helps Houston residents deal with emergency financial crises, including eviction, family hunger, the need for urgent medical care, or loss of transportation to their job. It also offers adult education classes, financial counseling, training and programs for kids. The Providence on Southmore is a non-profit devoted to assisting high school students attend universities in the city and overcome any obstacles that block them from completing their degree programs. The Houston Area Urban League (HAUL) provides social services to disadvantaged people of all races, gender, age groups and/or disabilities. Programs include affordable housing initiatives, workforce development/training, college preparation and more. College Community Career prepares low-income, first generation high school students for four-year universities. The program starts working with students in the 10th grade and supports them until they graduate with a bachelor’s degree. This is a very small sample of social service programs in the greater Houston area. For a complete list of organizations that can help you achieve your dreams of going to college, visit HoustonService.org. Thinking about applying for UT-San Antonio or TAMU-San Antonio? The River City is considerably more affordable than its siblings (Austin, Fort Worth, Dallas and Houston) and even ranks below areas like Midland and College Station for overall cost of living. General information on living in San Antonio can be found on the City of San Antonio website. Greater Randolph Area Services Program (GRASP) offers emergency assistance to folks with a household crisis (e.g. problems with rent, utilities, food and/or medicine). The program is intended for residents who live in Bexar or Guadalupe Counties in communities where access to help is limited. Haven for Hope runs an emergency homeless shelter for residents & families of Bexar County. It also has a Transformational Campus Program to help homeless individuals receive job training, education, health care (e.g. detoxification) and other services that can lead to a stable life. San Antonio Food Bank (SAFB) teams up with 530 partner agencies to distribute food to 58,000+ individuals each week. Programs include a Summer Food Service Program, Kids Café and a Fresh Produce Program. Café College serves as a “one-stop-shop” for college advice, preparation, guidance and workshops. Services—in English and en Español—are available for middle & high school students, current college students, working adults and anyone in-between. These are only a few examples! You might also want to search the City of Antonio’s directory of Family Assistance Centers and browse through the list of partner agencies of the United Way of San Antonio to find a specific resource. The Dallas metro area is generally cheaper than Austin and Houston. Cost of living data from Sperling’s Best Places suggest that housing costs have gone down in recent years. That’s good news for the large number of students living off-campus at UT-Dallas. The City of Dallas website has useful info for residents (e.g. online city services, renting, etc.). CitySquare helps Dallas county residents who are struggling with hunger, housing issues, legal problems, affordable health care or employment. Their programs include a Transition Resource Action Center (TRAC) for foster youth (and former foster youth) between the ages of 14-25. The North Texas Food Bank (NTFB) has a network of 1,000+ food programs and 200 partner agencies in its 13-county service area. It provides 170,000 meals each day for hungry children, seniors and families. The Wilkinson Center supplies all kinds of assistance to low-income families and residents in Dallas (mainly in East and Southeast Dallas and Pleasant Grove). Programs include food & emergency services, family workshops and adult education classes. The Texas Tenants’ Union offers free weekly tenants’ rights workshops, with guidance on leases, eviction, deposits and repairs. One-to-one help is also available. To find more social service organizations in the greater Dallas area, have a look at the list of service providers on the United Way Dallas website.